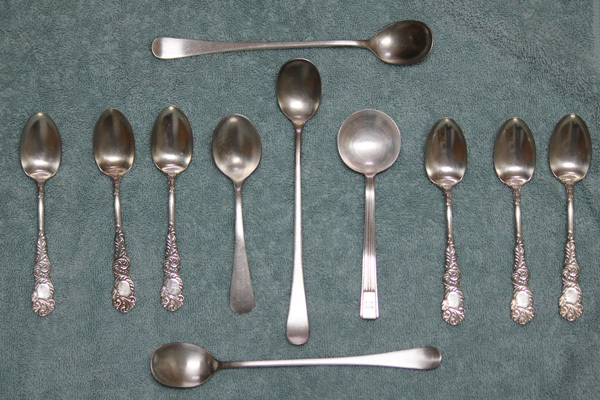 Old metal spoons cleaned and ready to paint. Painted spoons on my display tree. 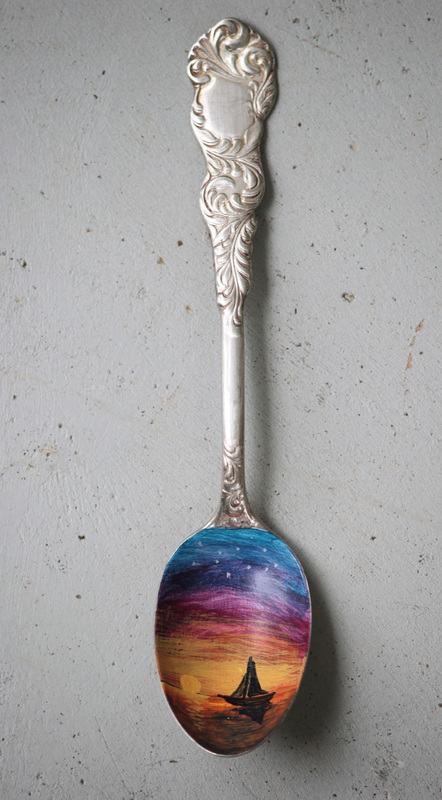 This spoon is titled 'Sunset Cruise'. I was in an antique store with my mother and we came across a collection of old, metal spoons, in various patterns and condition. I wondered if I could paint on them, and since the price was right I decided to give it a shot. They are painted with latex house paint and have two coats of spar urethane for protection and come with an organza ribbon for hanging. They are not intended for food use or play by children. They are a bestseller and make a wonderful gift for a host/hostess, secret pal, or just because.